It's been a rough year in the music world. Prince, Glenn Frey and Merle Haggard all passed away this year, and that's just to name a few. On Sunday evening, the Detroit Symphony Orchestra will honor another artist many fans feel left the world too soon: rock legend David Bowie. 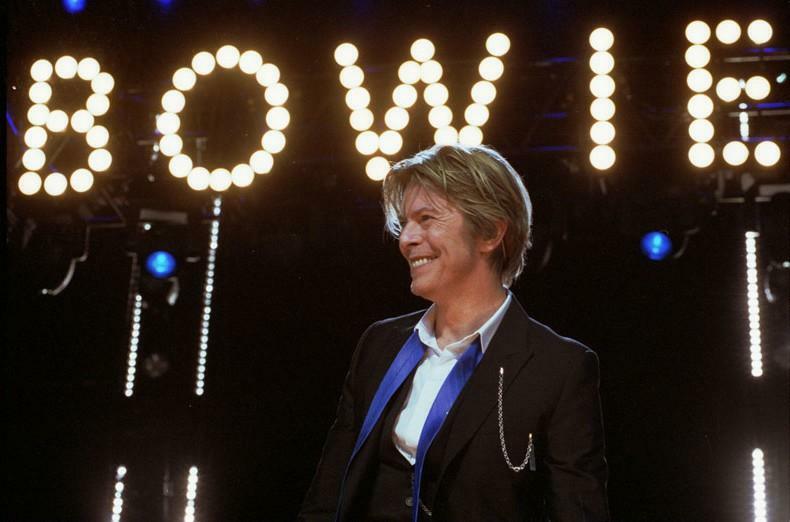 Bowie died of liver cancer in January, two days after his final album was released. His musical style was characterized by "chameleon-like" genre-jumping and his various stage personalities, including Ziggy Stardust and the Thin White Duke. 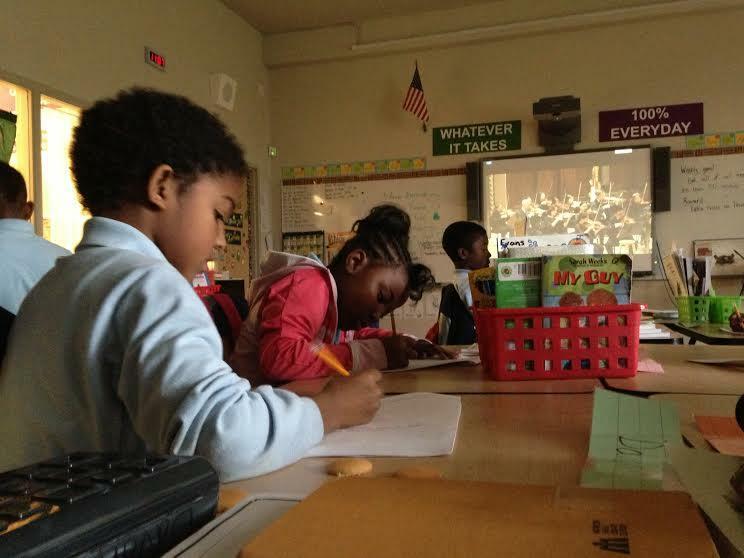 Between 40,000 and 50,000 classroom kids watched a live high-definition web stream of the Detroit Symphony Orchestra today, according to the DSO. The symphony says it’s the first concert of its kind, reaching kids across Detroit and Michigan. Paul Hogle is the DSO’s executive vice president. "I think there's an opportunity for us to do this for hundreds of thousands of students,” he says, "because the Detroit Symphony Orchestra could become America's orchestra for educational concert programming." DETROIT – Director Steven Spielberg and composer John Williams will join the Detroit Symphony Orchestra for a special benefit concert on June 14. Williams will conduct the DSO as it performs selections from some of his most popular scores, including "Star Wars," "Harry Potter," "Jaws," "E.T.," "Indiana Jones," "Schindler's List" and more. Spielberg will join Williams to host the second half of the evening. He'll present selections from his decades-long artistic collaboration with Williams, including selected film clips projected on an oversized screen above the orchestra. Tickets will be available starting April 14 for the concert, which will benefit the Detroit Symphony. Both Spielberg and Williams are donating their services for the event. On today's show: The U.S. Senate seat is open in Michigan come 2014. It's just sitting there for the taking. So, just who will take over the job opening after Carl Levin's retirement? We'll speak with Congressman Gary Peters - Democrat - who has announced that he wants the job - and, we'll speak with a Republican strategist about why Republicans have yet to jump in the race. Just what does it mean for the GOP's chances if a candidate takes too long to announce? 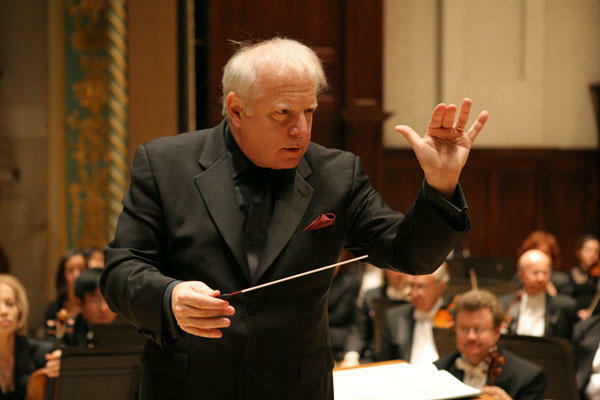 And, then, later in the hour: a conversation with the music director of the Detroit Symphony Orchestra: Maestro Leonard Slatkin. He's in New York as the DSO plays Carnegie Hall. But first we go to Lansing where we've been following a bill that's working its way through the State Legislature. The legislation would require people getting welfare benefits to pass a drug test in order to receive those benefits. The substance abuse screening would be required if there's "reasonable suspicion" that the person is using illegal drugs. State Representative Jeff Farrington (R-Utica) sponsored the bill in the House. He says the government should not pay for people's drug habits. 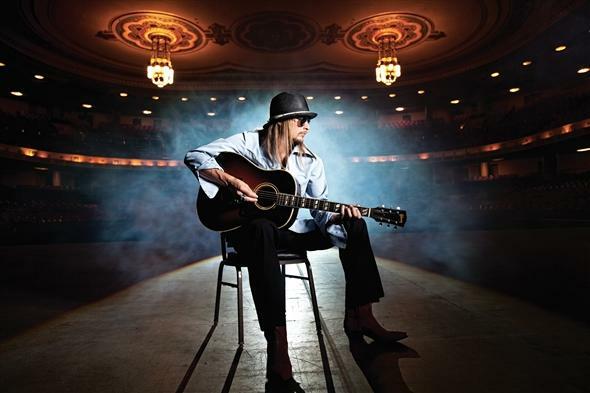 The Detroit Symphony Orchestra will accompany Kid Rock in a benefit concert. The orchestra is carrying a 54-million dollar debt. The goal of the event is to raise 1-million dollars for the orchestra. That money will be used for community outreach and education efforts. The concert will be at the Fox Theater Saturday night. Paul Hogle is the Executive Vice President of the DSO. He says while the DSO has faced struggles, he's optimistic of the orchestra's future. An unlikely musical guest will headline a one-night-only concert in May to benefit the Detroit Symphony Orchestra. Michigan musician and rapper Kid Rock will headline the fundraising concert. The goal is to raise $1 million for the DSO; the orchestra faces a deficit of more than a $2 million this year. Kid Rock will share the stage with his own Twisted Brown Trucker band and the DSO. They’ll play orchestral arrangements of some of Kid Rock’s hits, with DSO music director Leonard Slatkin conducting. 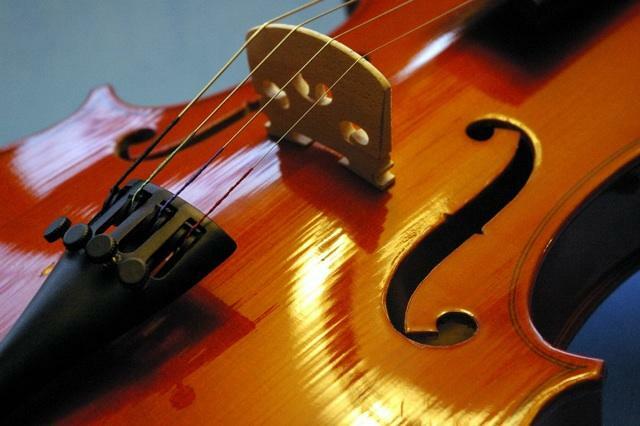 Detroit Symphony Orchestra musicians will share their expertise with metro Detroit teenagers at a new summer music camp. The six-day camp is part of the DSO's new Avanti Summer MusicFest, and is open to musicians ages 14 - 18. Shelley Heron is an oboist with the orchestra, and she’ll be one of the instructors. Heron has taught at similar camps in Canada for decades. She says "the biggest thrill is hearing them the first day and wondering, oh my gosh how are we ever going to get these kids to produce a concert at the end of the week? And then a little miracle happens." In addition to master classes and workshops, the campers will perform side by side with DSO musicians on stage at Orchestra Hall. There are no auditions for the camp; the first 140 students to apply will be accepted. It costs $300 to attend the camp, but Heron says "we have raised financial aid funds in order to help those students who otherwise wouldn’t be able to participate in an activity like this." Financial aid is available on a first come, first serve basis. Good news for classical music fans who live in Detroit. 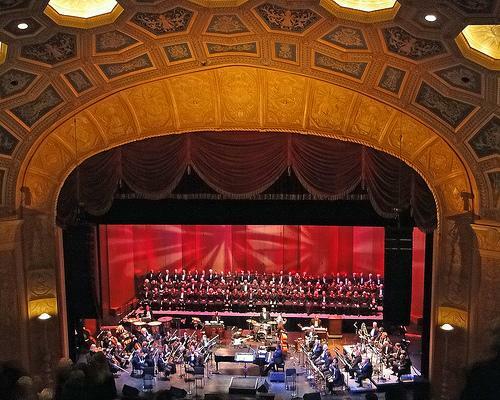 Detroit residents can now buy tickets to any Detroit Symphony Orchestra classical or jazz concert this season for $20. Paul Hogle is executive vice president of the DSO. He says the new Detroit Rush Initiative is one way the orchestra can "connect more deeply" to the city. Michigan’s ballet companies, theatres and opera houses are kicking off their 2011-12 season this fall, and it appears box office sales might be trending up. 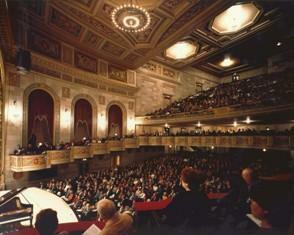 The Detroit Symphony Orchestra’s new season officially starts this weekend. DSO executive vice president Paul Hogle says ticket sales for the orchestra’s 2011-12 season are going pretty well as of right now. That's good news for an organization that lost around $1.8 million last year due to a six-month musician’s strike. 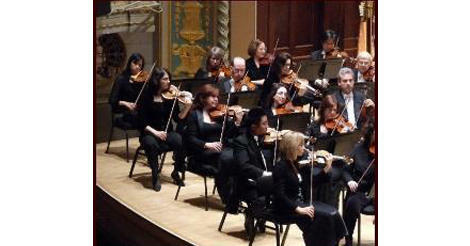 The musicians of the Detroit Symphony Orchestra have agreed to return to work after a six-month strike. They ratified the $34.3 million, three-year contract this afternoon. The deal includes an initial 25% pay cut for the musicians the first year. Starting musicians used to earn $104, 650 their first year; they'll earn $79,000 under the new contract. There’s an additional $2 million pot of money which management will use to pay musicians for optional community outreach work and educational programs that include teaching, coaching and chamber music. Rehearsals are scheduled this morning for musicians at the Detroit Symphony Orchestra. The DSO musicians ended their six-month strike earlier this week after they reached a tentative agreement on a new contract with DSO management. 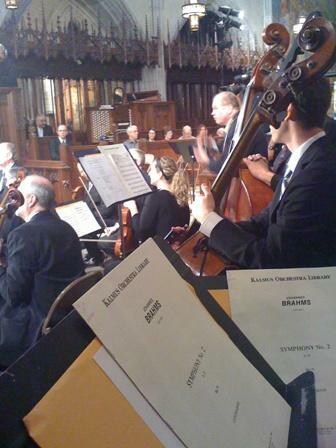 The dispute was over how deep a pay cut the musicians would have to take to help the struggling symphony balance its budget. The musicians were offering to accept a 22 percent cut, while management sought and then imposed a 33 percent cut. “As we return to our home, I’m confident that the artistic product will continue at the highest possible level. There is much to be done but the DSO will emerge a healthier and stronger institution." While historians debate just when and why Detroit began to decline, it’s much easier to say what its high point was: July 28, 1951. That was the official 250th anniversary of Detroit’s founding, and the city was at its peak. Detroit had nearly two million people. It was rich, vibrant and strong. President Harry Truman came all the way from Washington to speak - a rare occurrence then - and the city then celebrated with a five-hour long parade. And there was other good news, too. 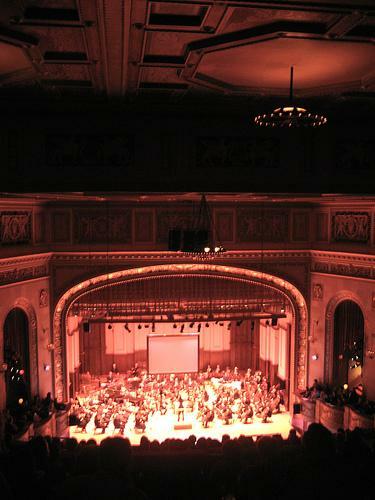 "The Detroit Symphony Orchestra was being revived. Founded when the city had less than two hundred thousand people, it had been disbanded during the Great Depression. But now it was back, and on October 18th, it thrilled fans with its first concert." Everybody knew then that to be a truly world-class city, you had to have a world-class symphony orchestra. Back in the jazz age, Detroit had one of the nation’s best orchestras. They had been the first orchestra to have a concert broadcast on the radio. They were regulars at Carnegie Hall. And for eight years, they were broadcast regularly to a nationwide audience. Then hard times came, and people forgot how important a symphony is for a while. Some people evidently lost sight of that again last year, when the symphony’s season was destroyed by a six-month long strike caused by money problems. 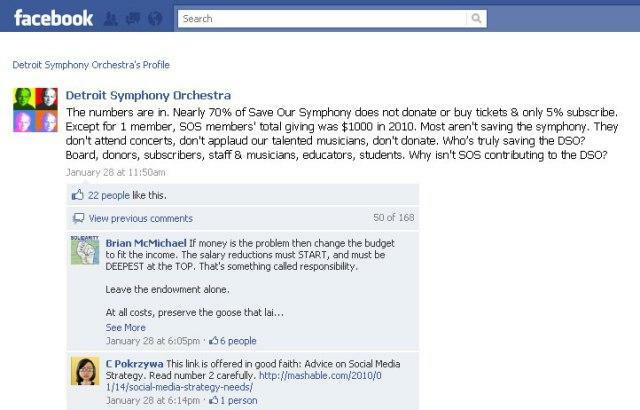 The symphony has huge debts, big deficits, and a shrinking donor base. Everyone agreed the musicians had to take a massive pay cut, but the question was, how massive? While I am not an expert on cultural economics, it is clear that neither side did much to help their public image during the work stoppage, and management’s handling of public relations was especially bad, as one board member admitted to me. The Detroit Symphony announced late this afternoon that orchestra musicians have agreed to return to work before voting on a new contract. 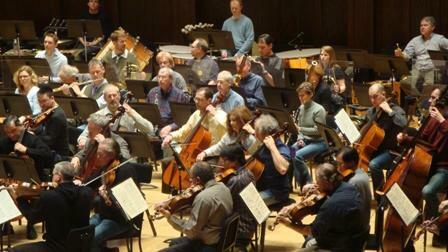 The DSO and its musicians' union reached a tentative contract deal over the weekend. The musicians' union met this afternoon. After the meeting, the DSO announced the musicians will return to work on Thursday to begin rehearsing for upcoming concerts. The union plans a vote on the union contract later this week. From the AP: Musicians' spokesman Greg Bowens says the tentative agreement was reached late Sunday. He says musicians will vote this week on whether to ratify the deal. Management spokeswoman Elizabeth Weigandt tells The Associated Press in an e-mail Monday morning that details of the agreement reached following talks over the weekend weren't being immediately released. A message seeking comment was left with musicians spokesman Greg Bowens... Musicians had said they were given a deadline of last Friday to settle the strike or face losing the summer performance season and jeopardizing the fall season. Musicians have been on strike since October 2010. The Detroit Symphony Orchestra board gave management and its striking musicians until today to reach an agreement in order to avoid canceling the orchestra's summer season. Conversations with the Musician's leadership via phone and email have been robust this entire week. TheDSO agreed to get together to work through the remaining issues as soon as acceptance of terms proposed by one of our intermediaries had been acknowledged by both parties. The DSO agreed to these terms on Monday. The DSO learned this afternoon that the musicians have accepted this framework as well and we will be scheduling a face-to-face meeting this weekend to resolve all other remaining issues. A decision regarding our summer season is on hold pending the outcome of these meetings. "The longer that things delay, the more national attention and pressure is put on the DSO to settle this situation." The current $34-million, 3-year contract under negotiation is similar to a proposal musicians rejected back in February. Detroit Symphony Orchestra musicians said last week they would return to the stage if management agreed to binding arbitration. But management has yet to agree…so the musicians are still on strike. "If management looked at their proposal carefully, weighed it against what’s happening elsewhere in the industry and saw that they were on weak ground, they might refuse arbitration." Zullo says it would "be good for the public" for management to accept binding arbitration "and get the Detroit Symphony Orchestra back up and operating again." In a statement, a DSO spokeswoman said management proposed several ways to return the musicians to work. 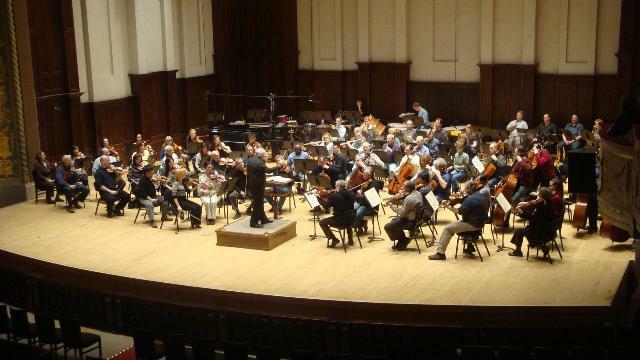 Earlier this week, the DSO striking musicians say they’re willing to come back to work without a contract if management agrees to binding arbitration. "It was a very difficult, gut-wrenching decision. Something we would have thought was un-thinkable a week ago today. They are trying to extend the hand of friendship in an effort to end the strike under the conditions management had previously imposed." On today's Artpod, we'll look at what kind of role social media played during the five month labor dispute between the two sides. Striking musicians with the Detroit Symphony Orchestra say that after five months on the picket line, they’re willing to come back to work without a contract. The musicians say they’ll go back on stage “immediately and unconditionally” if Orchestra management agrees to binding arbitration. The musicians propose that its union and Orchestra management each pick one arbitrator. The two people selected would then pick a third arbitrator to hear the case. 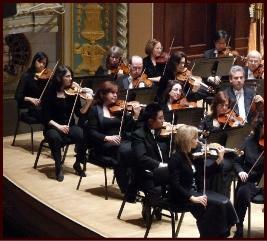 The musicians of the Detroit Symphony Orchestra voted today to return to work without a contract. "It was a very difficult, gut-wrenching decision; something we would have thought was unthinkable a week ago today, and that is they are trying to extend the hand of friendship in an effort to end the strike under the conditions management had previously imposed." Bowens says the exact conditions under which the musicians would return will be revealed at a press conference this afternoon. Management still has to agree to the idea. The musicians have been on strike since October fourth. "Look, the Max M. Fisher Theater is spiraling out of control financially. Artists are turning down left and right the opportunity to perform there because they don't want to be a part of this strike. The musicians understand that it's an important part of the economic engine for Midtown, and so they want to do everything they can in order to let the music play." As the fight between Detroit Symphony Orchestra management and musicians drags on for the fourth month, another fight of sorts is playing out on facebook. The DSO facebook fan page used to function like a typical fan page - stories about visiting conductors, upcoming concerts, and news about the orchestra’s Tiny Tots series. 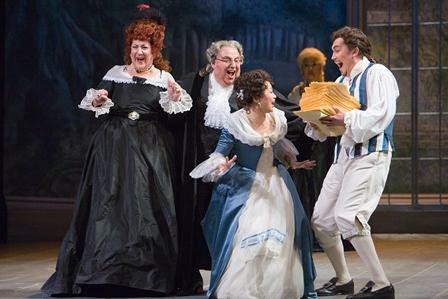 Some, like DSO Executive director Anne Parsons, describe the DSO facebook fan page as "a pretty active place to be." 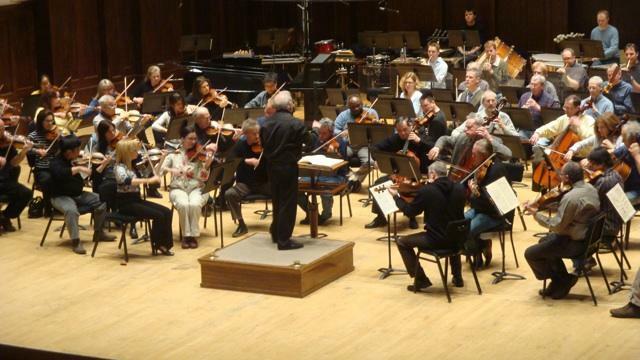 DSO conductor Leonard Slatkin commented on the page's level of "vitriol" at one point in a Detroit News Article.